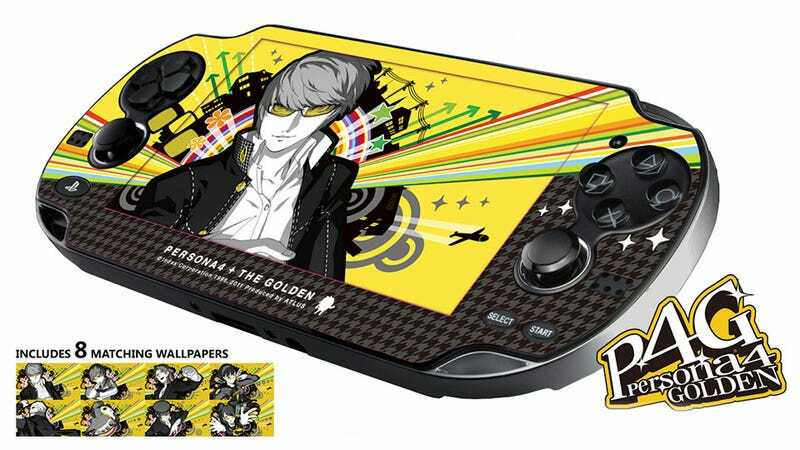 Available while supplies last at participating retailers, this gorgeous Persona 4 skin for your Vita is yours free when you preorder the upcoming sprucing-up, Persona 4 Golden. Not only is it sticky and colorful, the skin also melds seamlessly with the eight included wallpapers, transforming the face of your Vita into a work of art. Makes me want to leave my handheld on pause and sit it on a shelf forever. Mind you this is one of those "while supplies last" promotions. Hopefully the game store employees will have some left over after they finish distributing them to their friends.